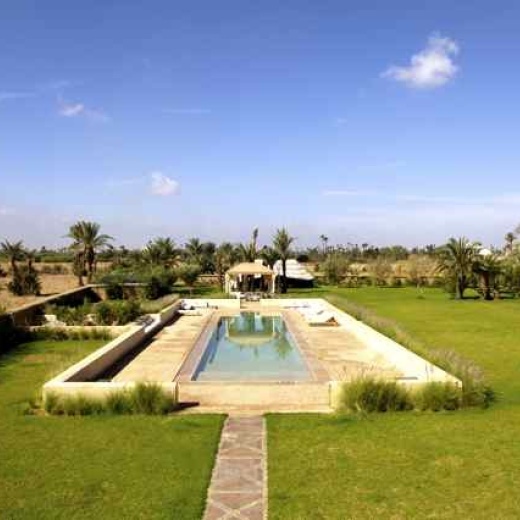 The Villa is ideally located in the Marrakesh Palm Grove. It is entirely close and guarded night and day. This unique location offers absolute quietness under the palm trees, with exceptional views on the Atlas Mountains. We can book your Golf departures and deliver your green fees directly at the Villa for free. Upon arrival, we will propose you, if you wish, a wide range of secure and exclusive activities.